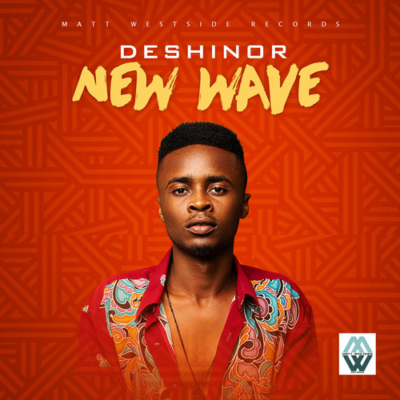 Right off from signing with Matt Westside Records, DESHINOR unleashes a brand new tune dubbed “NEW WAVE” and as the title suggests, this is truly lit.Produced by the rave of the moment – Kris Beatz. Prince Adeshina Joshua Aromolaran popularly known as Deshinor is young gifted vocalist and songwriter. Born October 7th 1996, in the Western part of Nigeria. Deshinor grew up with dreams of becoming a soccer star, until he discovered music at age 11. In 2014, the young musician decided to follow paths set by music icons, such as Ebenezer Obey, Fela, King Sunny Ade and Asa, to become a recording and performing artist. Over the years, he has honed his musical skills by working with several producers and artists including Mystro, Urban Hype (Zambia), Skiibii and Echo. Deshinor’s sound can best be described as a distinct fusion of Afro-Pop, Highlife and Afro-Soul. He got signed to independent music label, Matt Westside Records owned by Matthew ‘Fabulous’ Ebhodaghe in 2016 and is set to release his first single under the label’s imprint soon. Deshinor is currently in his final year at the University of Lagos, studying Mass Communication.